Sunday, January 26, 1913: Went to Sunday School this afternoon. Besse was out. We had sort of s sewing bee here today. Besse was out and brought some of her stuff along. On this January day, a hundred years ago, perhaps the sisters did cross-stitching while they chatted. Posted on January 26, 2013 January 25, 2013 by SherylPosted in OtherTagged 1913, genealogy, hundred years ago. Thanks for bringing back some great memories of my Grandma tonight. I have several of the items that she embroidered over the years. I also have several cross stitch items from my Mom and sister. I can remember some beautiful cross-stitch pillow cases that we had when I was a child. Handiwork was such an important part of “leisure” time in those preTV days. Years ago I used to do some embroidery. Doing posts like this one make me want to do it again–but somehow I never seem to find time. Yes, indeed! My mother always had a crochet needle in her hand when she was sitting (and taught me to crochet when I was a child). My aunt embroidered pillow cases year-round. I’m sure it’s nice for you to think of your grandma and her family enjoying a quiet Sunday afternoon together! I also had relatives who always seemed to be crocheting, tatting, or embroidering. They always gave the most lovely wedding and shower gifts. I bet you’re right! It makes sense that it would be a good time for conversations with a teen. Lovely! This gave my day a lovely start! Thanks for the nice note. It’s always wonderful to hear when someone particularly enjoys a post. 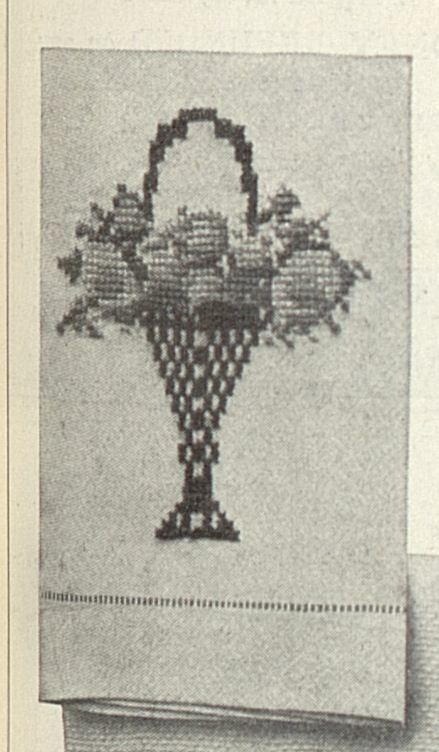 All your posts are great, actually, but I love old needlework, so this was a special treat. It’s so good to see that lately there’s been an increasing popularity among young/old/middle/ and everything in between in different crafts like sewing, quilting, crocheting, etc. Fun! I agree! It is fun to see the wonderful things that some of my friends and neighbors make. Do you happen to have anything she made? That would be a real treat! I have a old handmade quilt that belonged to her. I’m not sure whether or not she made it. I admire those who crochet and have several homemade pieces. A hundred years ago I wonder if they knew what great heirlooms they were making for our generation to admire? 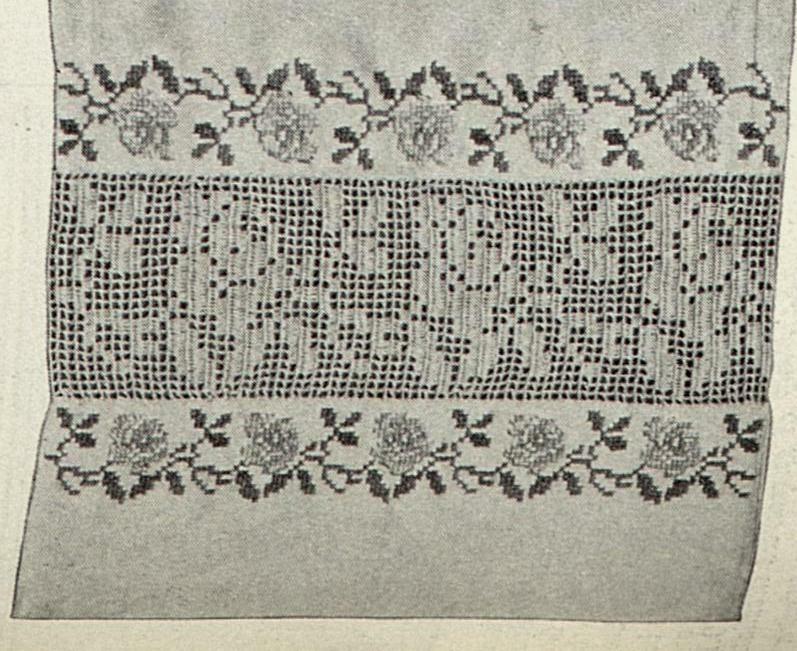 I know many people still make beautiful stitched items but it’s becoming a lost art. When we were in Venice, we took a boat over to the island of Buranno, they are famous for traditional lace work, all done by hand. I bought a very very small item. I can’t imagine how long it takes to make the table clothes or bed covers…amazing. I’ve never hears of Buranno before, but it sounds like someplace I’d enjoy.